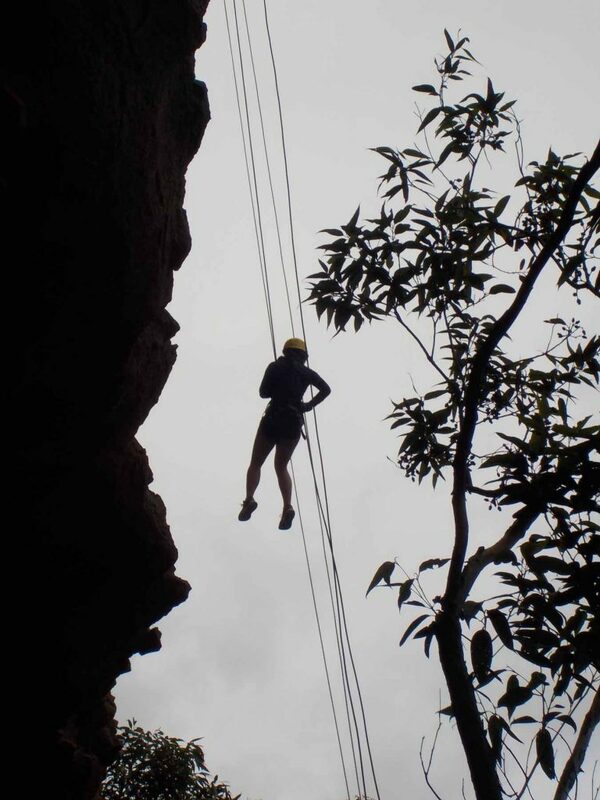 A brilliant half-day abseiling adventure. 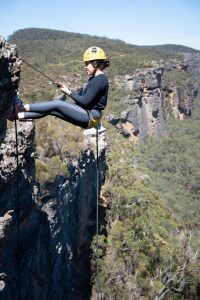 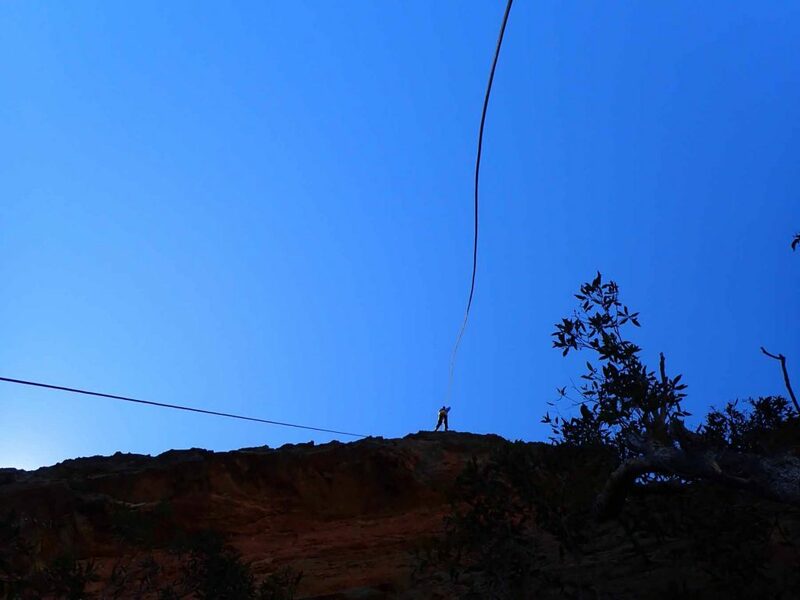 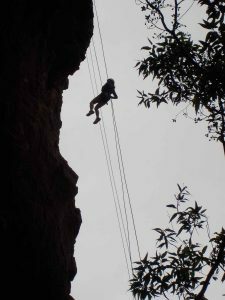 Our spectacular half day abseiling tour is simply the best action packed half day adventure you can have in the Blue Mountains. 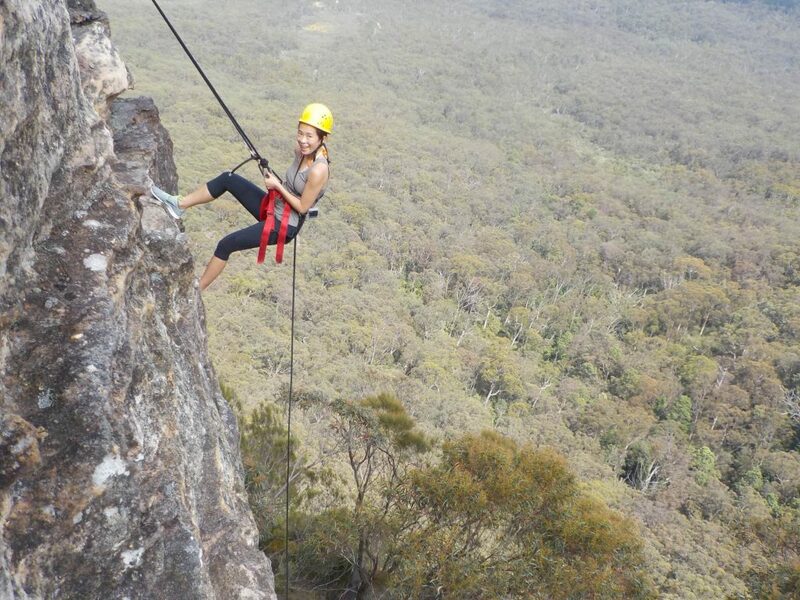 We start with a smallish 5 metre abseil. 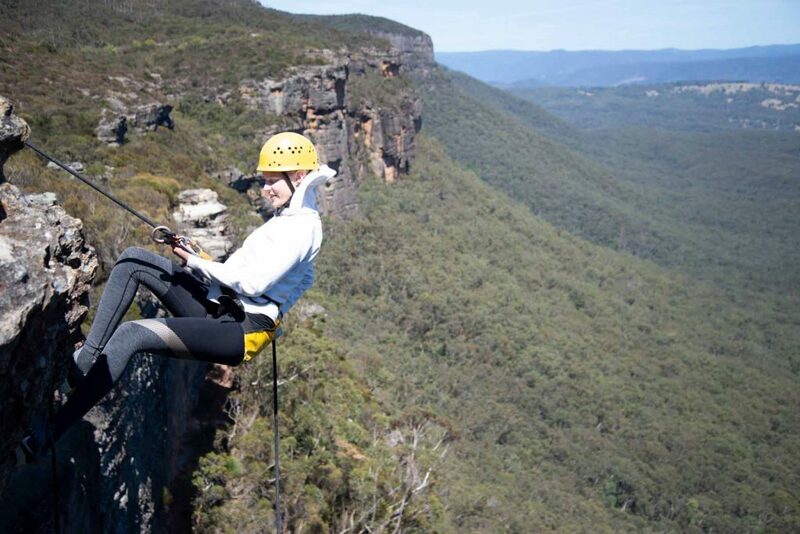 If you have abseiled before this abseil gets you back in the swing of things. 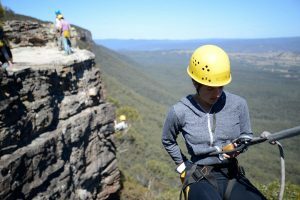 If you have never abseiled before it teaches you the technique of abseiling. 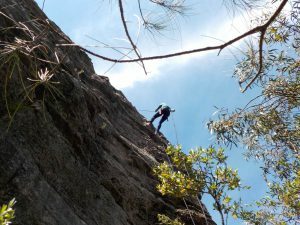 Your instructors are close at hand to encourage and explain the techniques. 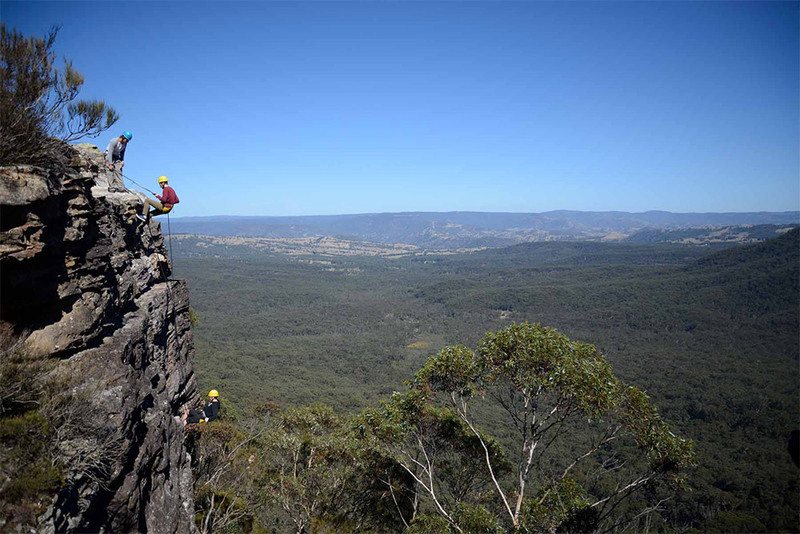 From here we head straight on to 15 metre abseils which you can do a couple of times. 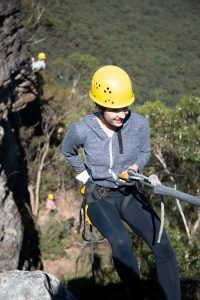 Then with your instructor explaining each step, you progress through to our 30 metre adrenaline pumping overhanging abseil. 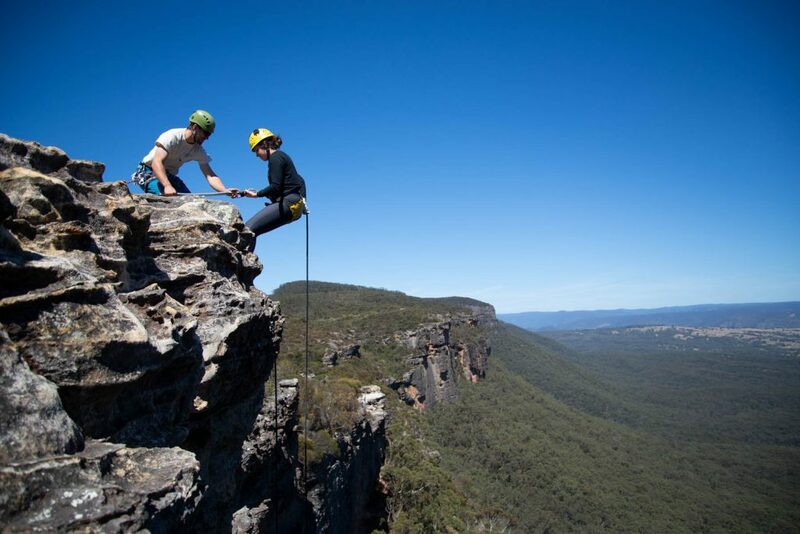 The setting is the beautiful Blue Mountains National Park, making it both a scenic and exciting adventure!